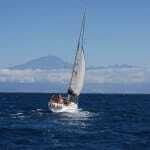 An approximately 250NM cruise starting with a “shakedown” sail to Los Gigantes, on north Tenerife. 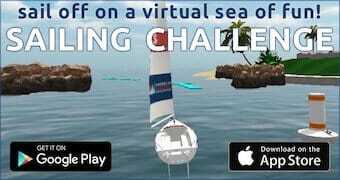 You will experience the “zone” where winds are amplified between islands. 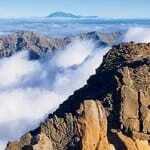 Then on to some of the less spoilt and beautiful Western Canary Islands of La Palma, El Hierro and La Gomera. These are truly stunning, exotic Islands. Where local and Spanish culture combine in majestic island settings. This week long cruise is intended for people who are looking to enjoy a sailing cruise and also may want to achieve mileage towards further qualifications. The days can be long, the winds can be challenging but our skippered cruises are very popular and will give you not only a fantastic adventure but an awesome sense of achievement. 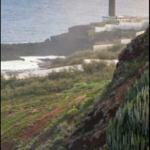 Visit Tenerife north, La Palma, El Hierro and La Gomera with stopovers at ports for dinner. 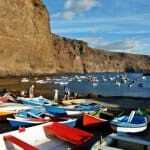 Some night sailing might be included leaving you time to discover some of the more beautiful towns and locations the Canaries has to offer. See typical itinierary 〉〉. 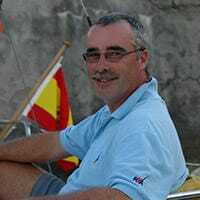 Some sailing experience is a minimum requirement and you have ideally experienced some distance sailing and passages as crew including passages overnight. 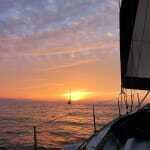 You will be expected to helm and keep watch in the company of your skipper and other crew members. A fantastic time! 250NM in your logbook together. 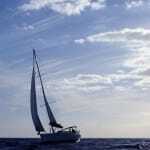 Experience of real Atlantic sailing. If you are joining one of our skippered boats, here’s what’s included in your Canary Sail cruise cost? Prices exclude flights, transfers and food and drink ashore. Please contact us for more information and pricing for the “Exclusive Cruise Yacht” options. Flotilla Itineraryitineraries assume our normal and very reliable NE trade winds but are always subject to weather conditions. We will meet and welcome you at your chosen base. You are then invited to join us all for drinks to meet the team, your instructors and fellow students or crew who start their full week courses. You will be made very welcome by the Canary Sail team and we can advise the best restaurants for you to sample! 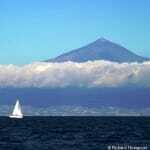 Prepare to set off early for the sail up to Santa Cruz, La Palma (or Tazacorte). This is a full day sailing, usually on a beam reach (in NE winds) which should get you into your destination in time for dinner. Once again, a great choice of local restaurants awaits you all! The marina here is new and offers great facilities including relaxing bars around the marina, Wi-Fi, and excellent facilities. And the marinas are close to town so you can venture out and enjoy local culture. 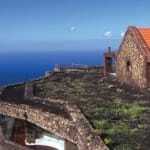 Sail back to the west coast of La Gomera to Valle Gran Rey (Vueltas). This is a small fishing harbor offering the best fresh fish anywhere along with plenty of other, international choice of food. Good fun till late if you so desire. Return sail and join the rest of the team and other crews for drinks and dinner in one of our favorite restaurants. Remember – accommodation on board Thursday evening is included! 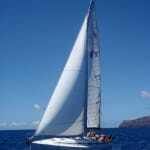 Leave the yacht at 10.00 latest please for your return home or to continue your holiday on La Gomera or Tenerife. Please contact us for advice on choices of quality accommodation. 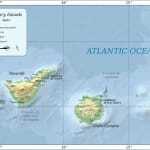 Note: It is possible these routes can be reversed to include the Western Island of El Hierro, La Restinga – weather dependent!